Our team is a group of friendly and experienced dental professionals who you’ll come to love from your very first appointment. They are an essential part of the warm and welcoming atmosphere that our patients enjoy, and you can trust them to provide everything you might need during your appointments. Whether you’re scheduling a visit, have a question about your treatment, or need help with your insurance benefits, you can always count on them. Read on below to start getting to know our fantastic team! Elizabeth is a Registered Nurse and has been our Practice Manager and Patient Safety Coordinator since 1998. She graduated from the University of Kentucky, College of Nursing with a B.S.N. degree. Most of her clinical nursing experience is in Critical/Intensive Care. She has completed specialized training in Oral Conscious Sedation as well as Dental Implants. “I was born and raised in Floyd County and am happy to be serving the fine people of Eastern Ky. I am thrilled that we can bring the highest level of Dental Care to our friends and family at home. There’s no need to travel to the “big city” for specialized care. I love that we keep up with technology and the latest innovations in Dental services. My favorite part of my job is knowing that our patients are going to receive a 5 star treatment from their first phone call thru completion of treatment and beyond. I enjoy cooking (but not cleaning up), a good book, or a great movie but my favorite thing is spending time with my husband, our 4 children, and large extended family. I have a passion for Family and Children’s Ministry and am very active in both at my church. 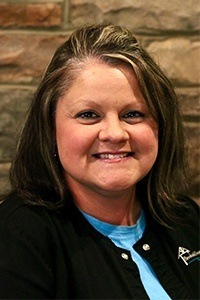 Melissa serves as a Registered Dental Hygienist for Brookside Dental Care and joined our Team in 2011. Melissa received her Applied Science Degree in Dental Hygiene from the University of Kentucky/Prestonsburg Community College in 2003. She is certified in Laser Debridement and has extensive experience in Oral Conscious Sedation. 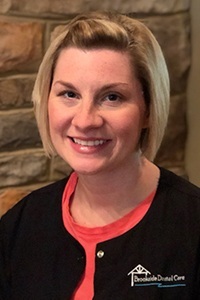 Jennifer joined Brookside Dental Care in 1999, shortly after earning her Applied Science Degree in Dental Hygiene from the University of Kentucky/Prestonsburg Community College. 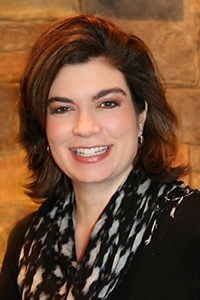 Jennifer is certified in Laser Debridement, Local Anesthesia, and has extensive experience in Oral Conscious Sedation. 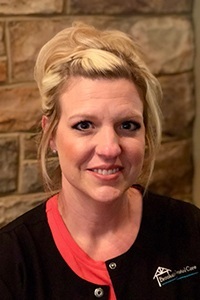 Jennifer served as an Adjunct Professor in the Dental Hygiene Program at Big Sandy Community and Technical College for over 7 years. She and her husband are very active in their church and huge University of Kentucky fans. Trista has been a Dental Assistant with Brookside Dental Care since 2008. She has extensive experience in Oral Conscious Sedation. 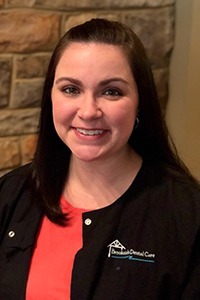 She is a 2008 graduate of the Dental Assisting Program at Big Sandy Community and Technical College and is certified in Expanded Duty Dental Functions, Coronal Polishing, and Dental X-Ray Technology. Rita serves as Scheduling Coordinator for our Team. 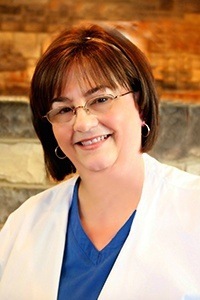 She has over 30 years of experience in the Dental Profession and has worked for Brookside Dental Care since 2006. Rita enjoys being a grandmother and loves spending time with her granddaughter. Rita loves UK Basketball and is a huge fan of the Kentucky Wildcats. 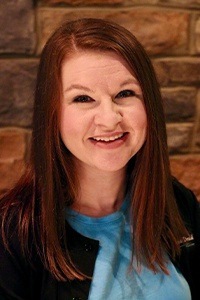 Annie serves as Financial Coordinator at Brookside Dental Care. She has 10+ years of experience in Healthcare and Customer Service. She graduated from Big Sandy Community and Technical College in 2006 with a degree in Medical Billing and Coding. After a Treatment Plan has been prescribed, she will work with you one on one to find and coordinate a financial arrangement that fits your budget. She also works closely with your Dental Insurance Company to ensure you get the maximum benefit from your plan. Katie graduated in 2007 from Big Sandy Community and Technical College with an Associates of Applied Science Degree in Dental Hygiene. She has over 9 years of experience and has treated pediatrics and adults. 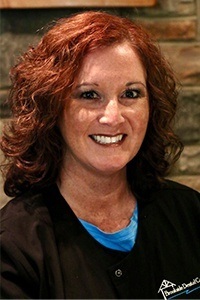 She serves daily as an assistant but also as our “back-up” hygienist so we always have 2 qualified hygienists on duty. Sarah joined Brookside Dental Care in 2016 as a Dental Assistant. She earned her degree in Applied Science from Big Sandy Community and Technical College in 2014. She has a Radiology Certification and has also completed training in Sedation Dentistry. Sarah enjoys anything outdoors, like camping, gardening, landscaping or just sitting on the front porch. She enjoys going to church with her family and loves baking and decorating cakes. She would love to own her own bakery one day.